A big-hearted coming-of-age debut set in Civil Rights-era New Orleans—a novel of Southern eccentricity, secrets, and laughter. When Ibby Bell’s father dies in a tragic accident in the summer of 1964, her mother unceremoniously deposits Ibby with her eccentric grandmother, Fannie, and throws in her father’s urn for good measure. Fannie’s Victorian house is like no place Ibby has ever been—and Fannie, who has a tendency to end up in the local asylum every once in a while— is like no one she has ever met. Fortunately, her black cook, Queenie—who has run Fannie’s household ever since it was Fannie’s household—and Queenie’s feisty daughter, Dollbaby, take it upon themselves to initiate Ibby into the ways of the South, both its grand traditions and its darkest secrets. For Fannie’s own family history is fraught with tragedy, hidden behind the closed rooms in her ornate Garden District mansion. It will take Ibby’s arrival to begin to unlock the mysteries there. And it will take Queenie and Dollbaby’s hard-won wisdom to show Ibby that family can sometimes be found in the least expected places. For fans of Saving CeeCee Honeycutt and The Help, DOLLBABY brings to life the charm of New Orleans in the decade of the turbulent 1960s through the eyes of a young girl learning to understand race for the first time. 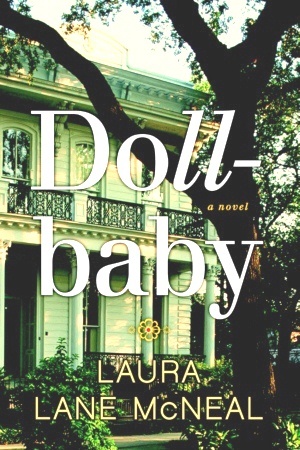 By turns uplifting and funny, poignant and full of verve, DOLLBABY is a novel readers will take to their hearts. “That’s Rule Number Five, Mama. There ain’t no number six,” Doll said.